The latest batch of images has gone live. 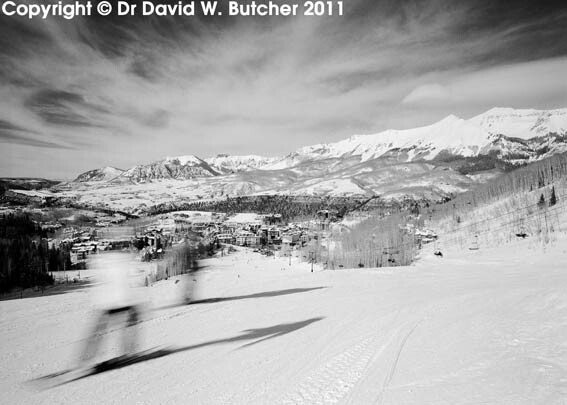 This time it includes a couple of photos from the Telluride ski area in Colorado. 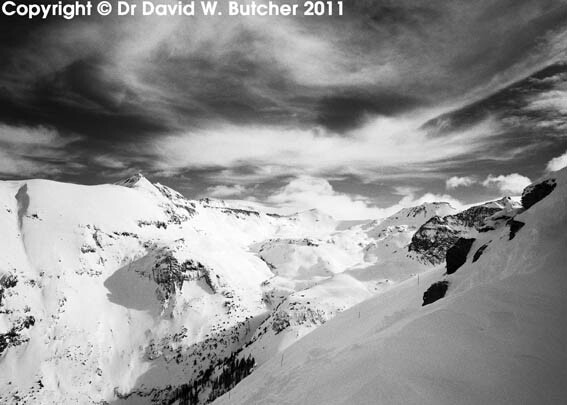 The skies were amazing on one of the 2 days we skied there. I just used a dark yellow filter to darken the skies which helps to compensate for the natural blue sensitivity of black and white film. I used a reasonably slow shutter speed for the snowboarders, 1/30 sec I think, but it could have been 1/60 sec, it wouldn’t have been any slower and faster than 1/60 would have frozen the action.